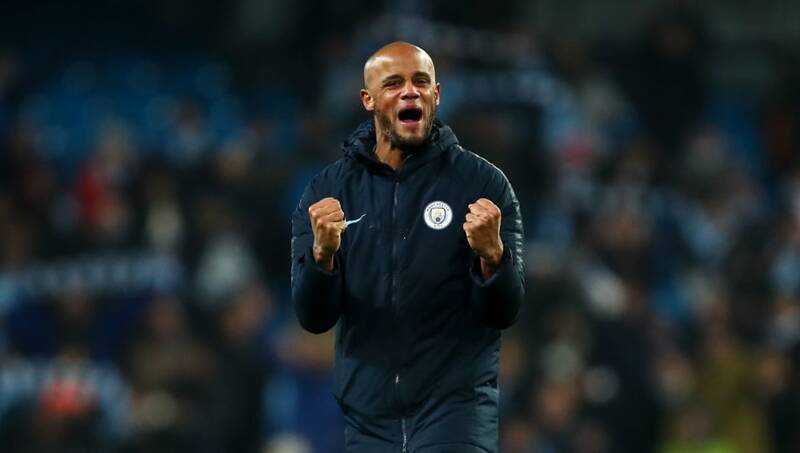 Manchester City captain Vincent Kompany has called his side's performance in the 2-1 victory over Liverpool at the Etihad "beyond anything else I've ever witnessed" after reducing the gap at the top of the table to four points. It was a crucial clash for City, with many citing it as their last chance to defend their Premier League crown. And, despite some early scares, and the man in question's escape from a possible sending off, the Citizens came through to bring Pep Guardiola's team back up to second place, and back into the title race. Speaking to the press after the game, as quoted by the Telegraph, the defender couldn't hide his excitement: “I'm buzzing after a tremendous performance. We went toe-to-toe with a very physical and aggressive team and we matched them for everything, if not more. His manager was also happy with the performance, though perhaps not to the degree of the Belgian, admitting: “It was a final for us because lose and it was almost over. Now it is tight again. Now is to rest and relax. “We reduced the gap, it’s still four points but it’s enough points to be calm but it is a good moment to congratulate and say thank you to these incredible players. They showed how good they are, they played against an incredible team. It was a good spectacle and both teams played to win."